Protecting children is no longer an option – it is a responsibility vested in each one of us. And schools are at the front line of child protection with a large part of the truly "awake" time of a child's waking hours being spent at school. Needless to state the school and the community of educators are one of the most significant aspects of a child's world and we also know that educators care for their students and their welfare and safety at all times. A school’s integrity and worth is not based on whether cases of sexual violence happen to children on its rolls. Instead it is based on the acceptance of the possibilities of occurrence and preemptive steps taken to both safeguard and respond in a timely and appropriate way to ensure that its children may benefit from its caring and foresight to truly have the right to be safe all the time, everywhere. Besides being legally liable, schools have an ethical responsibility to be forestalling and responsive. The sheer economic costs, direct or indirect, of addressing the lifelong effect of adverse childhood experiences on people’s lives, compels creating a safe and protective school community of paramount importance to educators. A first and crucial step to responding to the pervasive threat of CSA our children face, is increasing awareness. The sexual abuse of children cannot happen in a vacuum. Various factors together are involved which allow for abuse to happen but these very same aspects when reworked, can provide for a holistic and coordinated framework and processes to safeguard children in a school setting and establish a culture of safety. 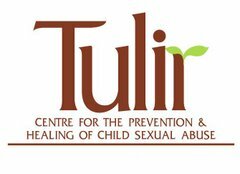 As part of a collective concern to ensure every child 's right to be safe all the time from sexual abuse Tulir – Centre for the Prevention and Healing of Child Sexual Abuse and The Millennium Lodge 327 are organizing a half day interactive session on September 1, 2018, 9.30 am for school managements and educators to help sustain their efforts in fulfilling this basic obligation to their students. . The venue is in Egmore – details will be informed upon registration being confirmed. Participation is limited to three representatives per school. To register and for further details please contact tulircphcsa@yahoo.co.in or call 26618026/43235867. Please be advised that registration closes on Aug. 30, 2018 and on-spot registrations will not be accepted.